It is with great gratitude and joy that we are pleased to announce our Spring 2018 Master Artist in Residency! Join us for special moments of discovery through movement, dance and emotion! 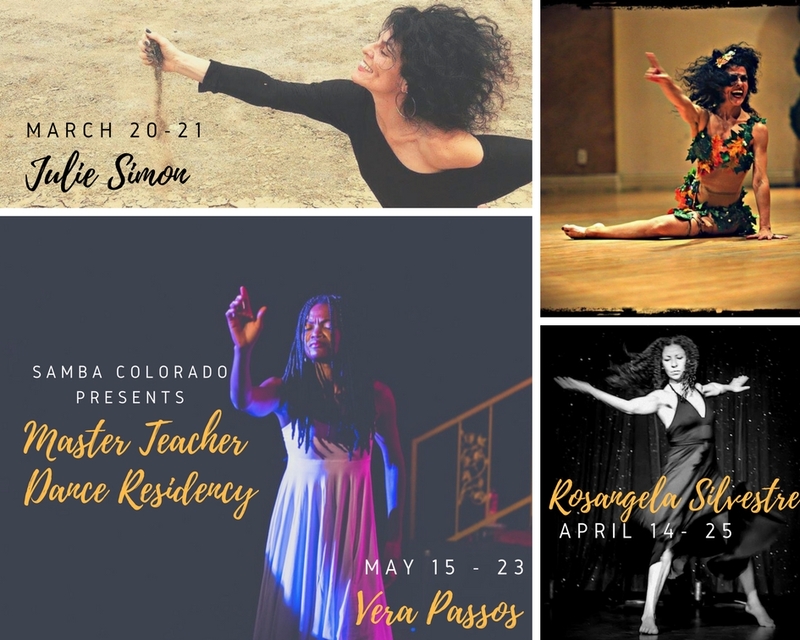 For more information on each residency visit our Facebook Page or email us: info@sambacolorado.com.